Walking in a Wintery Wonderland – Hiking in January Jan 15, 2016 If one of your resolutions this year was to get fit and get in shape, you may well have resolved to do more walking this year. Walking is a fantastic way ..
Make Every Day Special to Beat Stress Mar 14, 2016 Make Every Day Special to Beat Stress By Iona Lister, Tutor Make Every Day Special to Beat Stress &n.. Skills for Surviving A Zombie Apocalypse Oct 30, 2018 Greetings Survivor! Congratulations for getting through the end of the world and living long enough to tell about it. 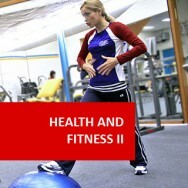 While we salute y..
Health & Fitness I course online. 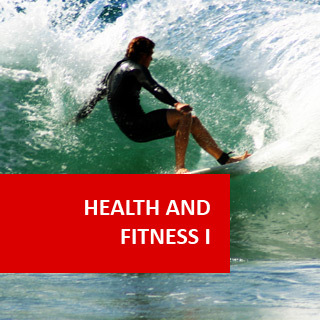 Prerequisites: Gain an understanding of health, fitness and well-being with this foundation course for those wanting to become Fitness Instructors in: gymnasiums, holiday resorts, hotels, leisure centres, sporting environments, swimming pools, schools and more. This course is also ideal for anyone who working in or wishing to work in health food shops as as a Naturopath. Health and fitness go hand in hand with the well-being of a person and more people than ever are actively doing something to improve how they feel through a healthy diet and exercise. Therefore a Health and Fitness Consultant needs to have the right skills to advise them on an individual basis. 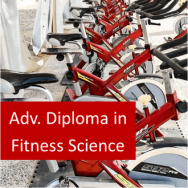 It is also advisable and may be a condition of employment in some health and fitness industries, to gain an up to date first aid certificate in addition to the one gained in this course. To manage the wellbeing of participants in a fitness program, including safety and injury. 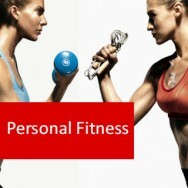 List the different types of health and fitness organisations and businesses offering services in your locality. Explain the philosophical basis of health and fitness in a workplace you are familiar with. Explain legal implications of providing fitness services in a gymnasium in your locality. Explain official systems of accreditation, registration, and licensing which relate to providing services in the health and fitness industries, on a local, state or national basis. Explain the status of professionalism, in the health and fitness industry. Develop guidelines for ethical behaviour of staff in a health and fitness industry workplace. Describe the history of fitness training in your country. Explain a physiological response to a balanced exercise program over a period of months, in an adult who has not regularly exercised for many years (i.e. what happens to the adult over the time period of the exercise). List physical symptoms, which can result from a lack of exercise. List risk factors associated with irregular exercise, for different types of people. Explain the mechanics of body movement during three different exercises, using illustrations. Analyse the movements observed during the three different types of exercises, performed by the three different people. Explain the general benefits of regular exercise, for 3 different demographic groups(eg. children, teenagers & young adults; or teen males, teen females and elderly). 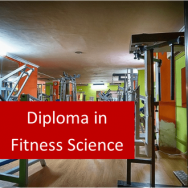 Explain the components of fitness in a typical young adult. Explain the different goals of training including cardio-respiratory fitness, flexibility, strength, and endurance. Apply the principles of training, to design an exercise program to suit your lifestyle, resources and aims. Design instructions, for two different series of stretching routines, for different purposes. Explain how the principles of leadership may be applied, in a fitness program. Explain how the principles of learning apply, in fitness program. Analyse different motivational techniques being used by a leader, in a fitness session which you observe. Survey members of two different health/fitness clubs to determine differences in attitude towards services being offered. Develop a checklist of criteria which are critical to customer satisfaction in the delivery of a fitness program. Demonstrate the leading of one or several people through their first session of a 30 minute fitness program, which they are unfamiliar with. List different options for screening techniques, to evaluate health in a gymnasium. Discuss symptoms of poor condition, including poor fitness, sickness and injury; which you observed in the video/TV program where different people are exercising. Develop safety procedures for a specified fitness setting. Specify a fitness injury you are familiar with, then recommend an appropriate recuperation process for that injury. List first aid facilities which should be available in two different specific types of health and fitness facilities. Compare different weight loss programs. Design a weight control program for a specific person. 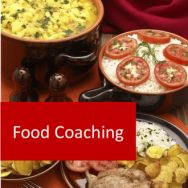 Design a healthy weight gain program for a specific person. The circulatory system consists of a network of vessels that circulate blood around the body. Included in the system is the heart which acts as a pump. The vessels that carry blood away from the heart are called arteries and those that carry blood back to the heart are called veins. Blood carries oxygen and nutrients to the muscles and vital organs and also carries carbon dioxide and waste products away. 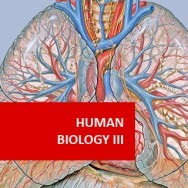 The circulatory system also includes the lymphatic system and the spleen. We will now look more closely at the importance of blood to the body. This network allows for blood to be recirculated via the lungs so that it can be enriched with oxygen. This network allows blood to take nutrients to the cells and to remove waste products from the cell. This directs blood from the spleen, intestines, pancreas and stomach towards the liver. Here, nutrients are exchanged (for example glycogen) while harmful substances are removed. This system removes excess fluid from the cells. This fluid was originally taken to the cells by the blood. Immunoglobulin (deals with disease immunity). The red blood cells are called erythrocytes, and there are five million in a single millilitre of blood. They are dish-shaped discs (concave on either side) which specialise in transporting oxygen which binds to haemoglobin in the erythrocytes. 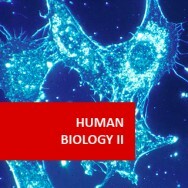 Haemoglobin also gives blood its characteristic red colour. Red blood cells are produced in the marrow of bones and they have a life span of three to four months. After that they disintegrate and the pigments produced by their destruction are excreted in bile. These are also known as thrombocytes. They are small irregular shaped cells which are formed in the marrow of bones. They have no nucleus, so no DNA. This means they can’t replicate. Platelets play an important role in the clotting of blood and the prevention of blood-loss from a wound. They do this by sticking to each other and to the walls of blood vessels at the place of an injury. Platelets also release a substance called serotonin, which causes the blood vessels in the area to constrict in order to produce a drop in blood pressure. Platelets have a life span of only a week, they are then destroyed by the spleen. These are called leukocytes and there are between 4000 and 11000 per cubic ml of blood. There are various types of leucocytes of different shapes and sizes. They play an extremely important part in the defence mechanism of the body. They can form barriers against disease and can also engulf harmful material such as bacteria. They play a role in the formation of antibodies and in the immunity mechanism of the body. They are formed in the bone marrow and in the lymph tissues, the spleen, the tonsils and lymph nodes.